One day, timed exclusives will be thrown in the bin along with staggered release dates for digital titles, and on that day I’ll take my flying car to the nearest Virgin Galactic spaceport and celebrate on the moon. Until then, let’s resign ourselves to the fact that this stuff is going to keep happening as long as the likes of Sony and Microsoft keep trying to screw each other over, with PC users getting caught in the crossfire. 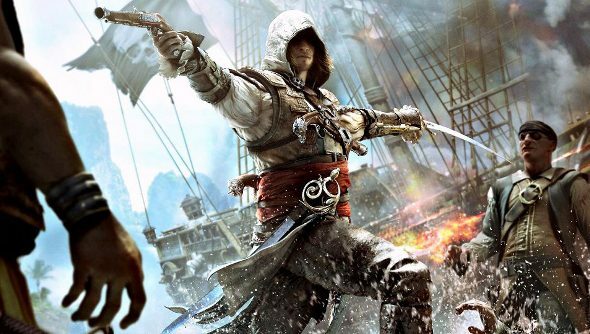 The latest attempt to get one up on the competition sees DLC for Assassin’s Creed 4: Black Flag and Watch Dogs, both Ubisoft titles, offered soley to PlayStation platform owners for six months, leaving those that picked up the games on PC potentially waiting for half of the year. The DLC packs, amounting to an hour of additional gameplay per game, were revealed to be a Sony exclusive in a PlayStation video, with the unfortunate information being spotted by Shack News. We don’t know what the Watch Dogs DLC will contain, but Black Flag’s DLC continues the story of Templar Aveline, the protagonist from Assassin’s Creed: Liberation (an HD version of which is due out on PC next year). While the six month exclusivity agreement means that the DLC can come out eventually on PC, it doesn’t mean that it will. Ubisoft has chosen to leave out such things on PC versions of their titles before, so we may never see these extras.